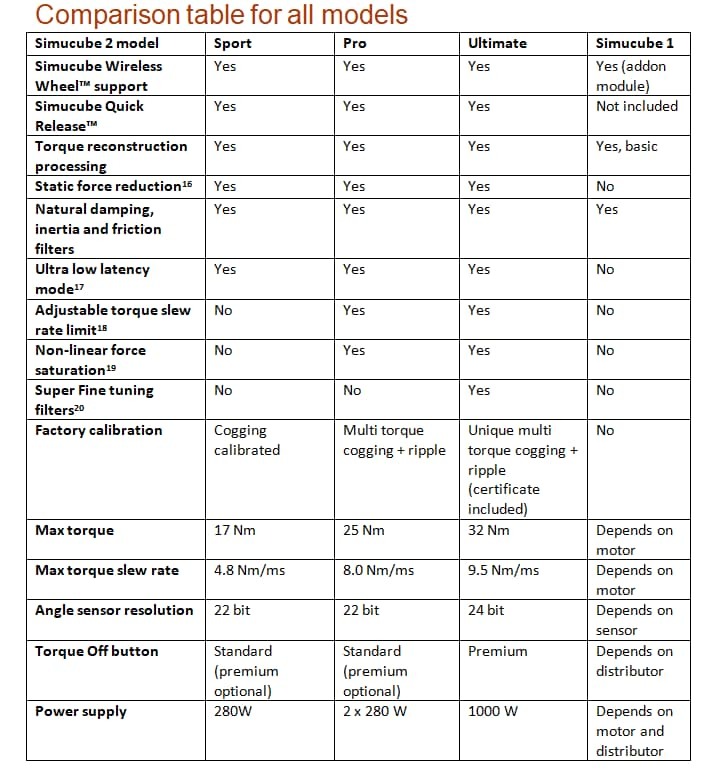 Easy comparison within 3 models SC2 vs SC1 ! drivers as well as experienced Pro drivers. Hard-core drivers and professionals, who crave for experience outside of this world, are best matched with Ultimate which leaves no room for speculation. All three models are built with industrial grade direct drive torque motors with essentially zero torque ripple and magnetic cogging. Angle sensors, drive electronics and CNC machined full-metal parts are made to complete the glorious motor and to unleash its maximum potential. Hot-swappable wheels, ultra low latency mode, high dynamic range, and natural signal processing are supported in all models. Simucube 2 is the world reference class Direct Drive force feedback wheel base. Simucube 2 has been built around a precision robotics grade industrial motor, electronics and software fused together to form a flawless monolithic design. Everything is optimized to perform at the highest level, and with sub-millisecond latency. Rigid mechanical coupling of the wheel is the fundamental requirement for direct drive. Simucube 2 is made to meet this requirement, even though it meant redesigning everything. Simucube Quick Release™, SQR, has zero backslash adding zero torque artifacts. When locked-in, it equals a solid metal shaft, just like it should. Simucube 2 works with simulator games and reconstructs the authentic environment. Thanks to Simucube 2's dedicated processor for motor control, and another for interfacing the PC simulator, the ultra low latency is stable and consistent. With Simucube's award winning force reconstruction processing, ultra low latency mode and adjustable dynamic filters, the Driver can reach Realism. Once you experience it, there's no turning back. 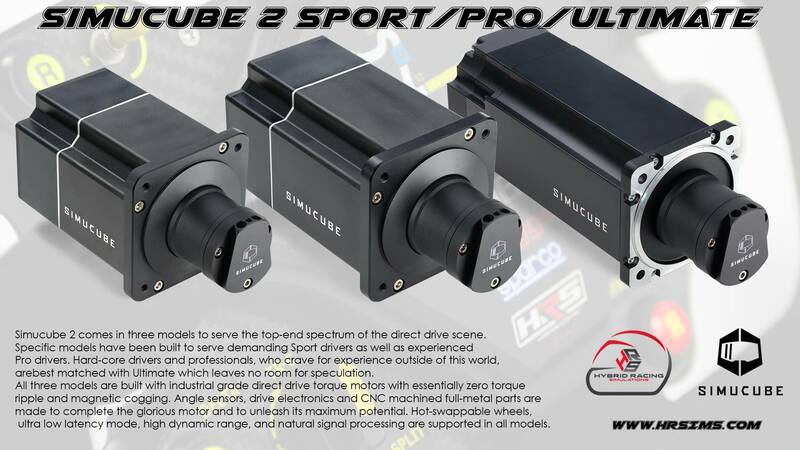 We have designed a specific new motor Mount to suit the new Simucube 2 systems. These will have 25 degrees of adjustment up, and 15 degrees of adjustment down. Like a majority of our products, they will be constructed out of billet aluminium, and anodised as always.